AEGEE locals are very sensitive to LGBT+ issues, so much that Equal Rights is going to be one of the focus areas in the upcoming Strategic Plan 2017-2020. Out of all the countries where AEGEE has antennae, The Netherlands is definitely one of the most active in promoting LGBT+ rights and Dutch locals are actively organising events on the topic. AEGEE-Utrecht organised Colours Without Borders back in June and, for this reason, they were rewarded with the title Local of the Month of June. 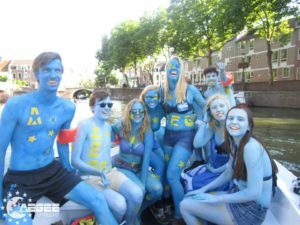 We interviewed AEGEE-Utrecht, more specifically Carina van Hoof, former Treasurer and Board Responsible of the LGBT Event and Bram van Os, President, to talk about this and future plans of the local. 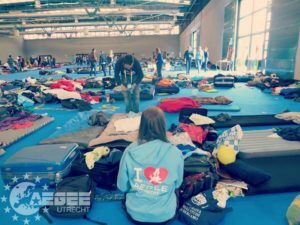 The AEGEEan: Congratulations, AEGEE-Utrecht! How does it feel to be nominated as Local of the Month? 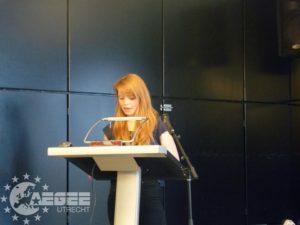 AEGEE-Utrecht: It feels great! It is really nice to see that our work is rewarded in this way, and that members from other locals can now also hear a bit more about it. Our local is very active. We have many members in different local committees organising activities on a local level, and we organise several European events every year. There is always a nice atmosphere during our weekly social nights, where members enjoy a cheap beer at the bar, dance the night away till the early hours or look at our map of Europe to decide where to travel to next. If I could describe our local in one sentence, it would be ‘the local where everything is possible’. You have been nominated for the LGBT event. How was it? The name of the event was Colours Without Borders. We had participants from seven different countries, which gave discussions about LGBT+ issues (for example during our dialogue workshop) an interesting turn, as situations regarding LGBT+ issues are very different in all countries. Think of Turkey vs. Spain for example. We organised several activities, we worked together with Utrecht’s Gay Student Association ‘Anteros’; we organised a pubquiz and a party together with their members. Another remarkable activity was a lecture that was featured on the programme of Utrecht’s 20th edition of the ‘Midzomergrachtfestival’ which is about Sexual and Gender Diversity. Of course, participants also came to our social night, we had sightseeing activities such as a boat tour through the canals, and enjoyed the biggest LGBT+ party of the year in our city. The event has been a big success for multiple reasons; it was the first time we worked together so closely with another student organisation and this was a very positive experience. 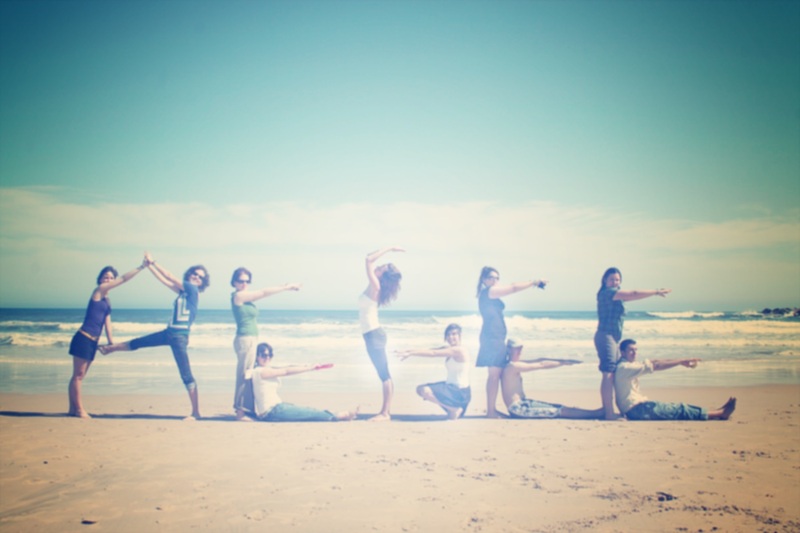 We highly recommend other locals to also seek cooperation with associations that can help give your topic more depth. Moreover, participants learned a lot about the LGBT+ situation in the Netherlands and in each other’s countries, and they learned from each other’s personal stories. In the nomination, you were defined as “always been a super gay-friendly association within Utrecht”. How important are the LGBT+ issues within your local? It is very nice to hear that this definition has been attributed to us. I would definitely agree. We have quite some members who belong to the LGBT+ community, and as far as I know, the open character of our local has always provided a safe space for every member to be able to completely be themselves. LGBT+ issues are very important within our local, not just because many of us have friends who belong to the LGBT+ community, but also because, as a local, we stand for equal rights for everyone. How important is this issue, according to you, to AEGEE as a whole? Do you think we are in a good situation in our organisation now, or should we take other steps? I think giving more attention to LGBT+ issues is very important for AEGEE as a whole; both internally and externally. Internally, I think we are quite okay, but in many cases it still can depend heavily on the country you are from; the level of knowledge on LGBT+ issues and its acceptance. With more workshops or a project we could help educate our members, and create a safer space for everyone to be themselves. Externally, I also think it is very important for AEGEE to take a stand on LGBT+ matters. The current (political) situation in Europe shows that LGBT+ rights, as well as human rights in general, are not always getting better, but instead risk to get worse in quite some countries. AEGEE, as a European student association, could give an important message by giving importance to LGBT+ rights, but also to equal rights in general. What are the new plans of AEGEE-Utrecht? Well, there is a lot of them, because we are celebrating our VIth Lustrum [30th anniversary, ed.]! We are going to organise a congress with the theme: “Mental Health and Youth”, a European School, a spectacular Gala and many more events and activities. So be on the lookout for us! ”Gezellig” [a typical Dutch expression for warmth, cosiness and fun, ed. ], Awesome, Active!